Kobo has a coupon code for 50% off this list of books and it looks like the Cassie Pengear Bundle is one of the books included. The coupon code is JAN1650 and is good from Jan 28, 2016 to Jan 31, 2016 in the Canada, United States, Australia, New Zealand, and the United Kingdom stores. It’s a Kobo promo, not one I set up, so you’ll have to direct questions to them. Just a quick reminder that A Spartan Murder will be going to its normal price of $4.99 this week. It will take a couple of days for the price to filter through everywhere, but if you wanted to take advantage of the release week price, now’s the time. I was waiting to get all of the links before I posted, but it took longer than I thought it would. In any case, A Spartan Murder came out on Tuesday and the ebook will be on sale until the end of the month. Here are the links I have. The print version is still slowly rolling out. 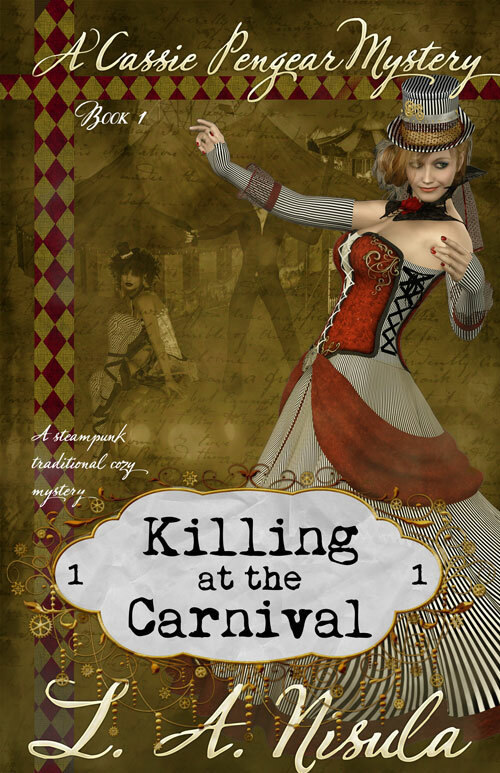 Cassie Pengear Mysteries books 1,2,3- Killing at the Carnival, Death at Dinner, Stabbing Set with Sapphires. It’s the first three books together discounted to $6.99. I was going to start bundling after book 5 was released, but I decided to do the first one a little early. Future sets will be of two books, but it seemed to make more sense to add the first one in as a bonus, mainly because of the way the sites list series which would make it tricky for someone looking for book 1. I’ll keep adding links as it goes live, but here’s what I have so far. Smashwords is having their summer/winter sale, and I’ve got two free books on it; Killing at the Carnival:Cassie Pengear Book 1 under this name and Ella and the Panther’s Quest under Lisa Anne Nisula. The coupon is the same for both SW100 . You can download all of the major ebook formats there. Enjoy! A few quick updates. Here are all the buying links for Killing at the Carnival and Death at Dinner. The release sale on Death at Dinner will be ending this weekend. I’ll be setting it to change back late Saturday night, but it might take a couple of days to filter through some of the sites. And I’m almost ready to order proofs of the print versions, so those should be done soon.